HPE LTO-4 Ultrium 1760 -Tape Drive- LTO Ultrium - SAS - Ultrium 3, Ultrium 4. HPE StoreOpen and Linear Tape File System (LTFS) allows customers to store data in an open format making the tape self-describing and file-based. HPE TapeAssure offers customers the ability to make the best use of their investment and be confident that their data is safe by monitoring drive and media utilization, operational performance and life/health information for drive and media, allowing the switch from reactive to proactive management. 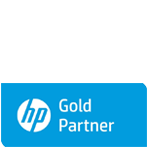 SAS models qualified on HPE and non-HPE servers; including popular platforms from vendors such as Dell, IBM, and Sun. Provides HPE LTO media, cleaning cartridge (with full height drives), a free copy of the option to download Yosemite Server Backup Basic software which includes support for hardware data encryption, cables and documentation.